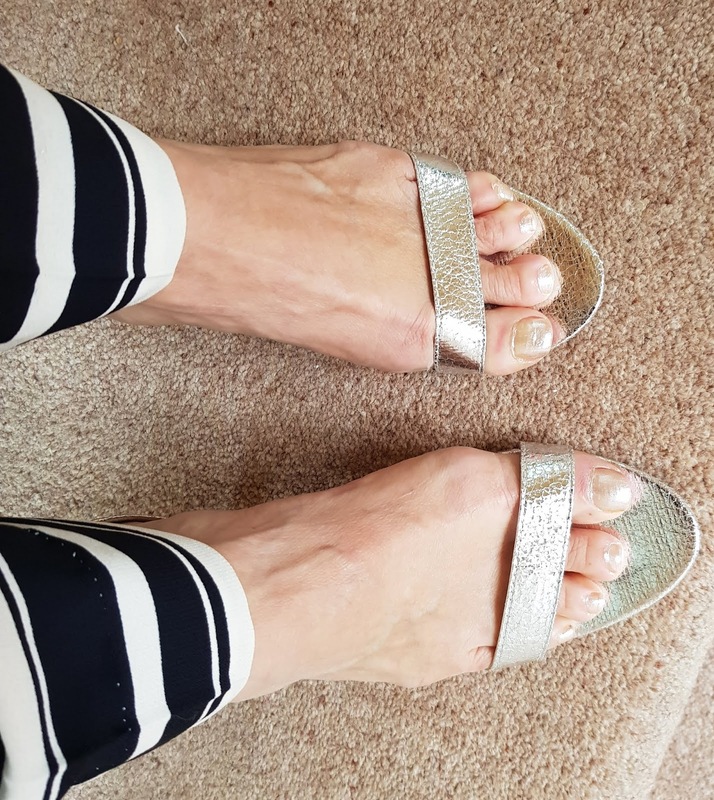 Fancy Pants and Naked Sandals | Is This Mutton? 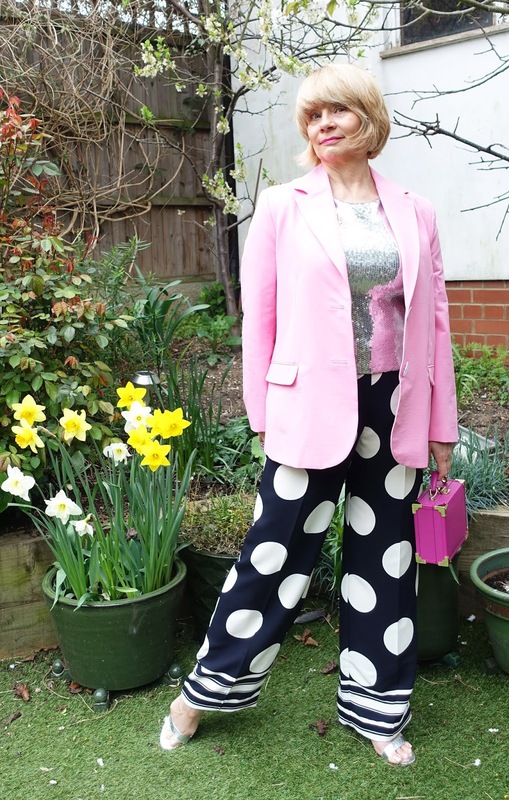 One of my best buys last summer was a pair of cropped polka dot statement trousers. I wore them far more than I thought I would. They were made of quite a delicate material and sadly have ripped, but fear not! 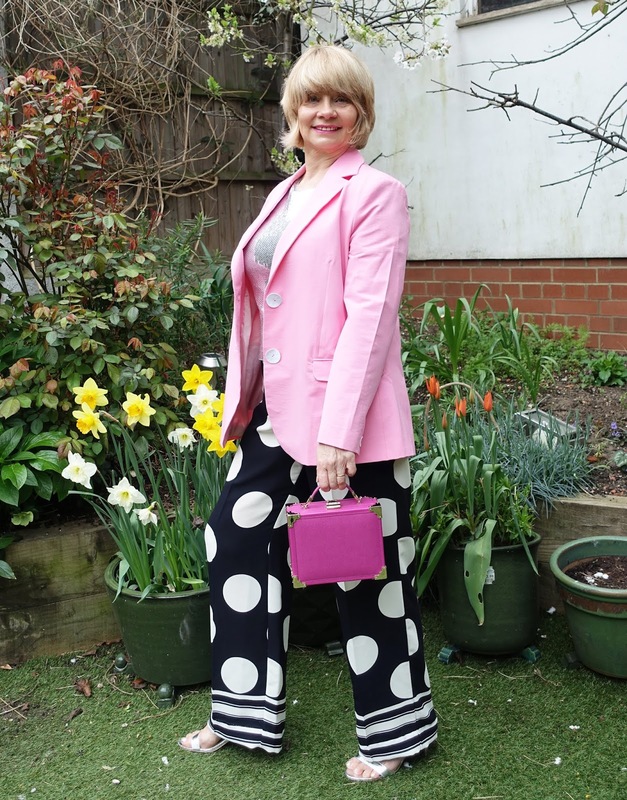 I found a pair of wide statement trousers for this summer from the same retailer. I'm also wearing "naked sandals" - have you heard of this trend? "Naked sandals" have been featuring in the fashion mags and papers. They're essentially a sandal with very thin straps, leaving your feet quite exposed. If you search "naked sandals" on Asos for example, most of the sandals have very high spindly heels. But you can find plenty of pairs with blocky or kitten heels which are easier to wear. 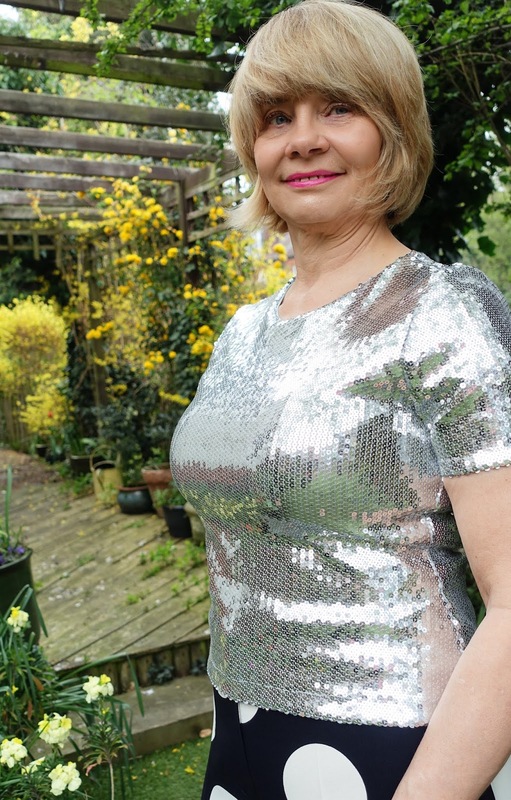 I chose silver because I find it an outstanding neutral, and they were a real bargain from Asos. I gave myself a pedicure before taking these photos. Sandals like these are best worn with cropped trousers where you can see a bit of ankle. I've been looking for a pink jacket and this one will keep the chills away while we're waiting for spring to warm up a bit. It's described as "over sized" which seems to be the big trend for jackets. I don't like jackets too short or boxy, so it works for me. I wasn't thrilled about having to take the trousers up about three centimetres. What is it with retailers and long trousers this year? You'll recall I had to buy a pair of jeans from the petite rage at Boden when regular were far too long. I'm 5'6 and normally regular trousers are fine. Maybe my legs are getting shorter! I'm thrilled to be in the top 25 London Fashion Blogs, as voted by Feedspot. What makes me particularly pleased is this is not just the over-40s category but in the wider "fashion" blogs category, a very competitive space with many younger bloggers. Hop over to Feedspot to take a look at the others. You can subscribe to those which take your fancy. I'll be back on Wednesday with the #WowOnWednesday link up. I love wide legged pants in the summer! So nice and breezy and they're often made with such fun patterns. 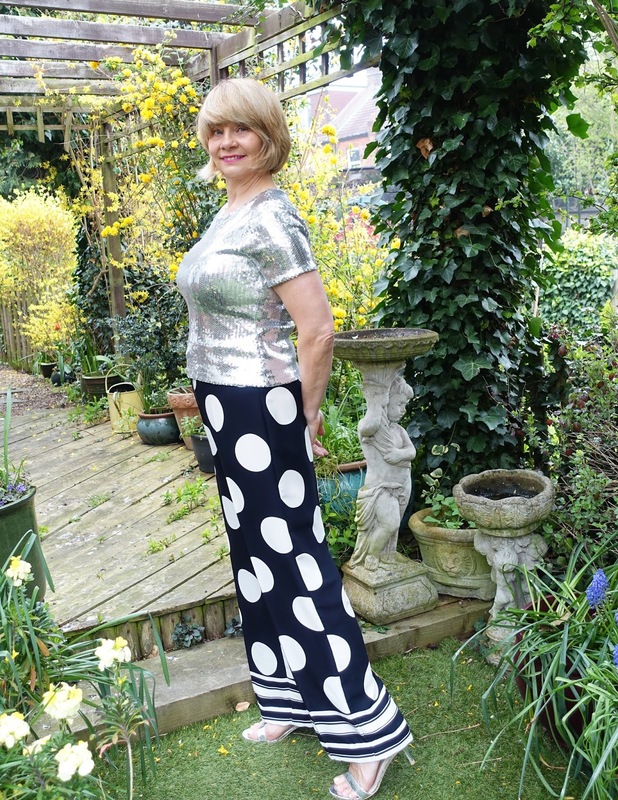 I love your spotty trouser Gail. They are so me :) Thanks so much for sharing your post with us at Welcome To The Weekend Blog Hop. Have a great weekend and we hope to see you soon.